Casey has been home exactly 1 month today. Boy, I really miss having those daily weigh-ins that the NICU gave us and the weekly length measurements. I love having stats. 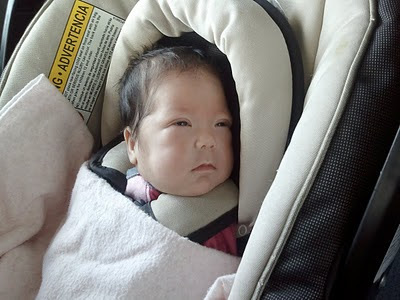 Casey was born at 2 lb 4 oz, she left the hospital a month ago at 6 lb 2 oz and, a week ago, she measured 8 lb 7 oz. Tomorrow, she has an appointment with a dietician/nutritionist so hopefully we'll get another weight measurement. The first week home was a blur. We brought her home on a Sunday. Because we're limiting her exposure to pathogens and thus, pathogen-carrying people, there was no welcome home party I always see on those baby shows. Uncle Stanton was the only one to greet us. He and our neighbor had set up balloons and signs to welcome Casey home. We took Casey into the living room and assessed our situation. Our attack plan for the first week was to just camp out in the living room. Scott had taken his 2 weeks of vacation so we tackled everything together until we fell into a routine. Casey's first car ride. Doesn't she look thrilled? I think she was confused by the movement and vibrations. It took her a few car rides before she got used to the whole car thing. She's safely tucked into the carseat she inherited from her cousin, TJ. Note: it is not recommended to have used car seats, you must know if the seat has been in any auto accidents and is not expired. 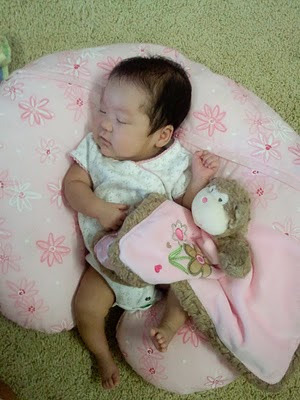 Casey spent the first few nights sleeping in a mini-cosleeper...a type of bassinet. No blankets!!! 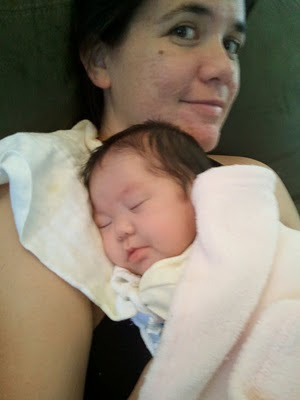 We used kiddopotamus wraps (LOVE THEM) and learned that Casey does not like having her arms swaddled. She'll battle it out until she gets them free. The video below shows her spending her first night in the cosleeper. So cute. After hours of just sitting and staring at her sleep, Scott turned to me and said "You know what makes her so cute? When she stretches, her hands don't reach above her head." And he's right. She loves to stretch and her hands just barely break even with the top of her head. I had to try stretching myself to compare. She's got a big head, I hope it means that she's uber brainy. She didn't do very well in the cosleeper just because she is prone to acid reflux ( a preemie problem) and vomiting. It comes out of her nose and she just gets this horrified look on her face. Yuck. 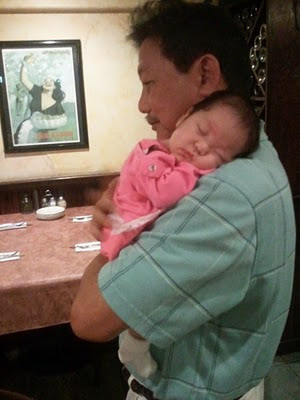 So we try to hold her upright for at least 20-30 minutes after each meal. She eats every 3 hours. Hmm, 10 minutes to change her diaper and warm up her bottle. About 30 minutes to feed her. 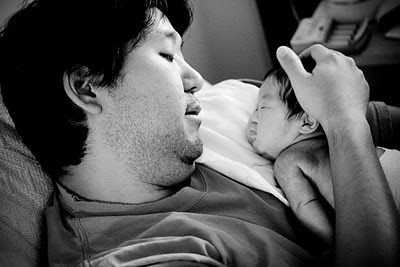 Then holding her for 30 minutes before you could put her down. It gave us less than 2 hours before the next round started. One thing that really helped was the Fisher Price Rock and Play Sleeper. It says it is safe for babies to sleep in overnight...and it's angled so it helps babies with reflux. Casey lives in it. It's a relatively new item, so I'm still a little nervous using it. We put it right by the bedside with the lamp on so we can check on her often. Having lived with NICU monitors that told us everything we needed to know about Casey, we were more than nervous. She slept in the sleeper and it is lightweight so we used it like a carrier, we took her everywhere in the house we were. Cooking? She's in the kitchen. Eating? She's in the living room. 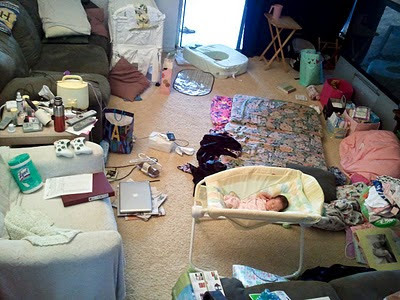 The first week was spent in our living room and it was a mess. Everything we could possibly need had to be within arms reach because we are fumbling new parents. We tried to recreate the NICU room to the best of our ability, albeit a super messy version. We didn't have visitors and we didn't really leave the house except to go to doctor appointments. Man, there are a lot of doctor appointments. She has 2-3 appointments every week. The weeks we only have 2 are like a vacation for us. She has to see the pediatrician, a pediatric eye doctor, lactation, speech, and a nutritionist. 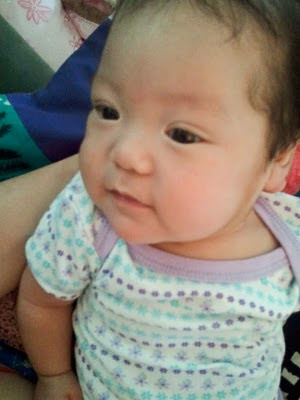 Oh, and she also had her monthly RSV shot. 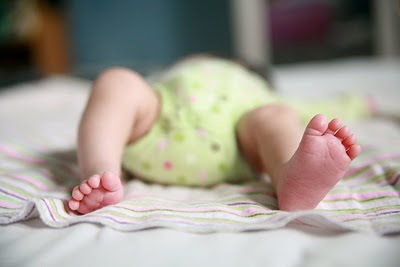 Speaking of RSV, we really appreciate everyone responding so positively. At her appointments, I check us in and Scott takes Casey directly from the car into the back. All the doctors have it set up so that Casey never has to wait in the waiting room, which can be full of sick people and germs. I was in line and the man behind me asked me "Are you Casey's mom?" It floored me. How in the world? He introduced himself. His daughter went to HBA and he heard about our story. He recognized me from the blogs. I said "Oh, Casey is here too." He responded that he saw Scott and Casey but stayed away because it's RSV season. That was so awesome!!!! Casey getting her retinas examined. Retinas are usually mature by birth. Because Casey was premature, her retinas will probably take an additional 2 months to fully develop. So, she needs to continue to get them checked every other week. They dilate the eyes with drops and then Scott has to be the mean parent that holds her still while the doc looks into her eyes. He's a really nice doctor. He has two kids and he really seems to love babies. Plus, he's quick so Casey hasn't fussed too much. So far, it's looking great, but we still have to keep going. Casey at her pediatrician appointment. Casey getting a special home visit. And if she wasn't getting enough doctor visits. One Sunday, I called our good friend, Keiko, who is also married to Scott's cousin to come for a house visit. Casey always grunts but her grunts sounded like she was trying to clear her throat. 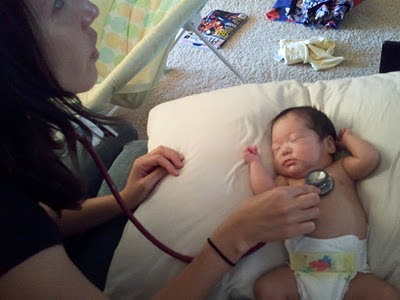 20 minutes after I texted Keiko, she was at our door with her stethoscope. She's a peds nurse at Kapiolani. She listened to Casey's heart and lungs and declared her excellent. Keiko tried to make me feel like I wasn't silly by admitting that when she brought her son, TJ, home, she checked his vitals every three hours. Man, I wish I was a nurse. Or that Scott was a pediatrician/pastor. Another appointment at home for Casey was with Easter Seals. At our entrance interview, our social worker asked us if we knew what Easter Seals was. I nodded which was a lie. Before Casey, I never really knew what March of Dimes exactly did or Easter Seals. Easter Seals helps those individuals with disabilities. They also have prevention and early intervention programs. Because of Casey was so premature, she is at risk for developing disabilities. It is a free service and they will basicall be evaluating her as she grows and checking on her development. She's 3.5 months old but her adjusted age is about 2 weeks. A speech therapist and physical therapist came to our house and played with her and asked us a bunch of questions. I felt pressure to be completely honest. Therapist: Does Casey like to look at faces? Me: Well, some of the time. Most of the time she's just looking around. Maybe my face just happens to be in the way. I didn't want to exaggerate things, I wanted an honest evaluation of her. The therapists were so nice and friendly. They played with Casey for 20 minutes and said that she's on par for a 0-1 month old. Exactly on track for her adjusted age. Awesome!!! I know I said I wanted to be a nurse, but I kind of wish I had their jobs. How awesome would that be to just go to people's houses and play with their babies. I'm sure there's less fun aspects to it. Casey is starting to make eye contact and stare at faces. When you hold her, she tries to hold her head up. She can actually get pretty good control for five seconds and then gravity and the weight of her head win over. We try to do tummy time and do some exercises the physical therapist taught us. It's hard though. When she's not eating, she's sleeping. So, most of the time, tummy time just turns into her face down trying to chew the blanket or she just knocks out. She grunts as usual but now she cries when she's really frustrated. The therapists were actually really happy that she cries. It's the beginning of speech. Oh, we were kind of hoping to skip the crying part. Her eyes have almost turned completely from gray to brown. 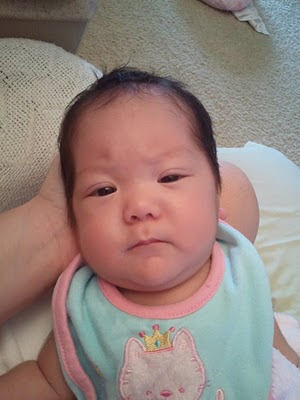 She can raise just her right eyebrow in a quirky manner, I'm so jealous. I have tried to get a picture of it but she's too quick. But she'll quirk her right eyebrown look at you sidewards. It's hilarious. She sticks out her tongue a lot and tastes the air. And she loves being held. We only let her sleep on her back, so being held is the closest she gets to sleeping on her stomach. She loves it. We are back to calling her Slugger more. But now we have more names. I call her squishy face. Kissy face. Buba. You name it. Well, that's it for this update. Here, enjoy some pictures of how big she has gotten. She has Scott's expressive eyebrows. He says that this is their resting faces, they're not mad. One thing I really have to mention that has helped Scott and I get through this first month. Our friend, Kacie, set up a calendar for people to volunteer to bring us dinners. I can't take Casey to the store which leaves most shopping to Scott who sometimes has meetings at night after work. It has been such a blessing. We still have occasional meals of saimin or hurrican popcorn (ooh, I'm hungry now) when we're left to our own doing, but we have been feasting wonderfully this past month. I enjoy when people brought us homecooked meals. I make like 4 dishes and just rotate through those four. So, it's awesome to see what other people make. It is so ono. We are friends with some amazing cooks. Thank you guys so much. Seriously, has made life so much easier. Keao. i am so glad you are going to get served by easter seals...I can not say enough good things about them and their therapist! AMAZING. i had many kids seen by them for the last 4 years and i have learned SO MUCH. they are a great resource and will teach you a million different tricks to work with Casey! Congrats on your first month home with Casey! I'm so glad she's doing well. I am also glad she's able to get services from Easter Seals. As an autism E.A., I work with speech pathologists, and physical therapists daily and they do have awesome jobs and many good tips. I am super glad Casey is receiving services at 3.5 months. Take Care! You guys have Nich & I "oohhhhh" and "awhhhh"ing over here. Can Casey get ANY cuter?!?! We especially love the last few pics. Those eyebrows look just like Scotty's but that last pic, she's dead on you, Keao ;). Man, wish I was there! Couldn't you see me as your live-in pediatric doctor, vitals tester & cook :D? I could! I still say that last pic of her is the best. She looks like a regular kid! I mean, she's kind of keeping her head up and everything, it's so cool. It's hard to believe she was ever so small, yeah?! I can't believe it's been a month already! What in the world did we do before she came home? I don't even remember anymore. It's great that you're keeping this blog going so we don't forget. Keao and Scott, congratulations!!!! We're so very proud of you and your (not so little anymore) little Casey. She's adorable, and we love the videos... it gets better every single day, doesn't it? And at the end of every day you think, how can it get any better than this... but it does. Love you guys!! !